Hair fall is one of the worst nightmare feared by woman, we do all possible things to escape it, yet it doesn't spare anyone. To keep the fall in check, a proper hair care regime is a must. Oil plays the most important role in my hair care routine, type of oil used significantly determines the health of the hair. 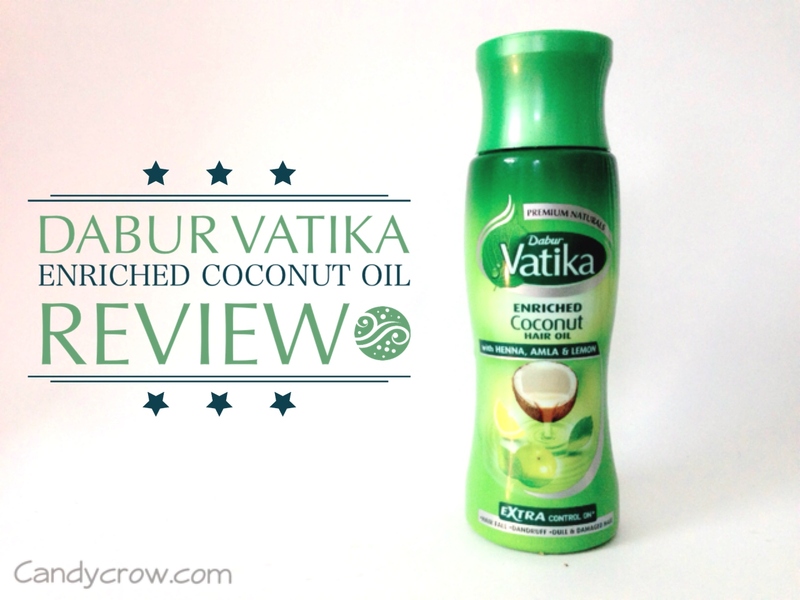 I have been using Dabur Vatika enriched coconut hair oil for the past 3 months, let us see how it has worked it's magic on me. What is special about Vatika enriched hair oil? Vatika hair oil has the goodness of coconut oil along with henna, amla and lemon, With the use of the above-mentioned ingredients Vatika enriched hair oil claims to work on hairfall, dandruff and split ends, the three major hair problem faced by women around the world. 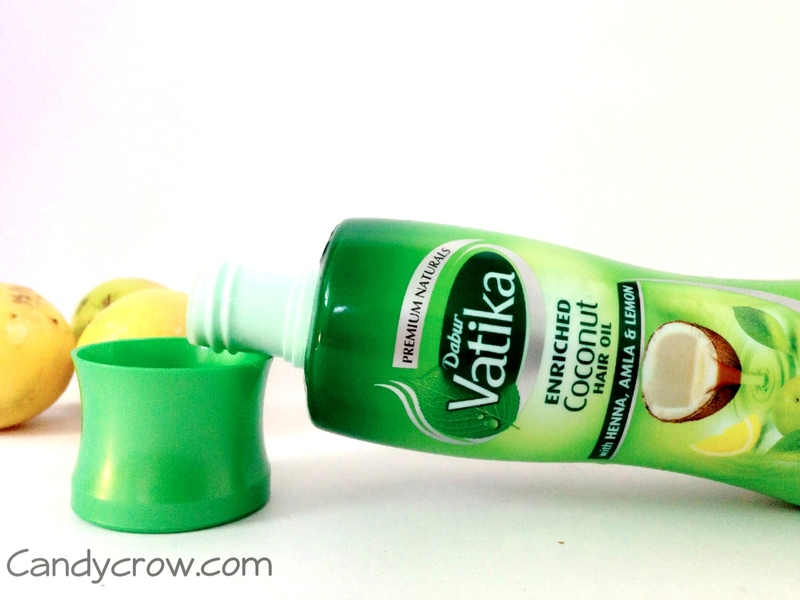 Vatika enriched hair oil comes in a screw-type bottle, the oil is greenish-yellow in color. As soon as I poured the oil in my hand I was hit with the fragrance of henna and coconut. Oil is light is texture, non sticky and does not weigh down the hair after shampooing. The oil does not drip grease once you apply it, this makes it an awesome choice for massaging your scalp. My hair was becoming dry due to the hard water in my area, but after using this oil I was able to see a change in my hair texture, it made my hair soft, shiny, black, strong and split end proof. I heat the oil for 10 seconds and apply it in my scalp and give it a good massage for 5 minutes, this is followed by applying the oil throughout the hair, esp the ends to prevent split end and dryness. I leave it to work for 1 hour and wash it off with a mild shampoo. This oil does not leave my hair limp or greasy after washing. I apply the oil thrice a week to nourish my hair. If you want a deep conditioning effect on your hair you can leave the oil overnight and then wash it off in the morning. It has made my hair more strong, shiny and soft but it did not help me to eliminate itchy scalp problem. 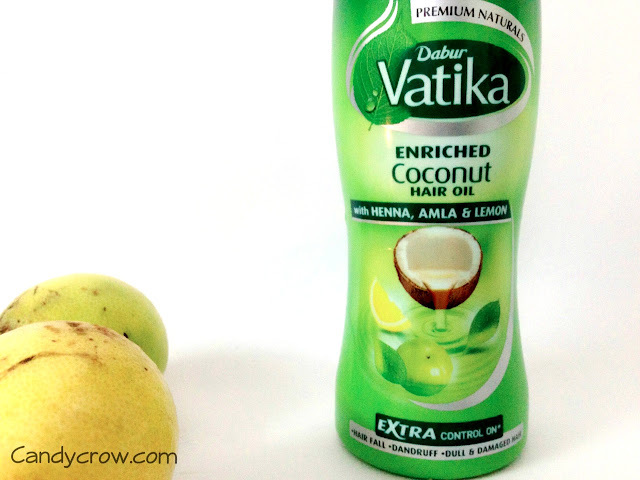 Over all I am happy with Dabur vatika enriched coconut hair oil it is natural and affordable. 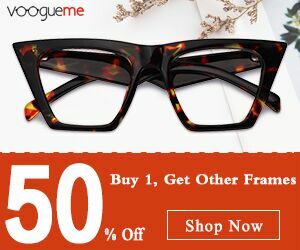 It has all the good ingredients that are required to keep your hair healthy and lustrous.